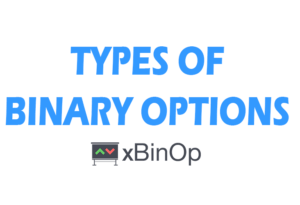 There are numerous types of binary options offered by brokers for trading: Touch options and No-Touch options, traditional medium-term up/down options offered by all brokers, ladder options and much more. 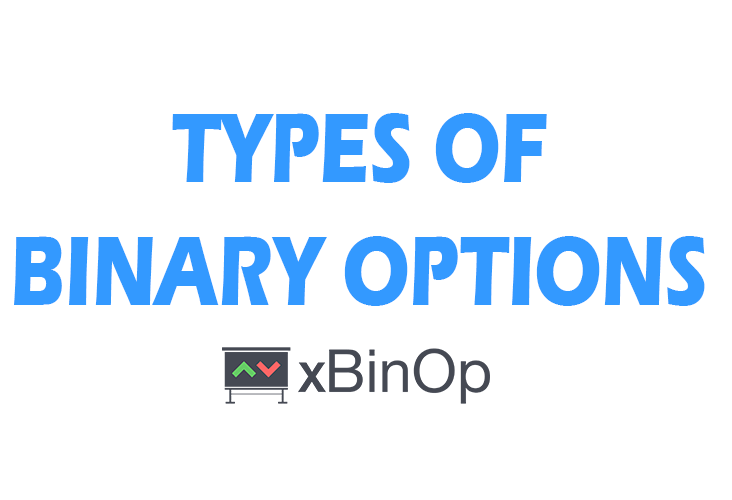 Every trader must answer the same questions: “Which of the options are the best for trading? Why choose a broker based on the type of options and expiry time?” In our today’s article, we are going to explore in depth digital options, which is, in fact, nothing else than a fancy name for ladder options. This is a type of options in which the trader determines the strike price, which is the key to the achievement of the potential profit. Same as the ladder binary options, digital options (btw. IQ Option is the only broker in the market to offer this type of options) are somewhat more complicated to understand than other types of options. Therefore I will do my best to explain this in simple terms. Let’s start with a picture. The picture shows the concept of digital options trading. The trader again speculates over the future price development, same as with normal binary options. This time the strike price is not limited. Therefore, the trader can choose which one he or she wants to use. 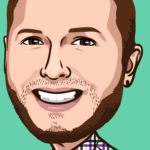 How do the digital options work? The prices on the left hand side are as follows: 1.1267, 1.1266, 1.1265 etc. When trading digital options, it is the trader who selects from a few pre-set strike prices the one he or she wishes to use. Speculations are over the final price (…is it going to be higher or lower than the strike price?). The current closing price of a trade predetermines the future profit from the trade. The example in the picture shows the way it all works. (Though the picture depicts LADDER options, in reality the process is the same). Let’s assume that the picture is a real graph. After opening a trade worth $100 upward (shown on the ladder on the right) we can see that the profit grows proportionally with the risk. We will earn more if we believe that the price is in a strong uptrend and, before reaching the expiry date, has grown much higher. I am going to outsmart them! Well, you are right. BUT…you must take into account that with nearly 100% certainty to win, the final profit will not be breathtaking. A trade like this may generate a profit of around 5%. This means that your profit from a USD 100 investment will be merely USD 5. Given that what you put at stake is worth USD 100, this does not appear to be fair. 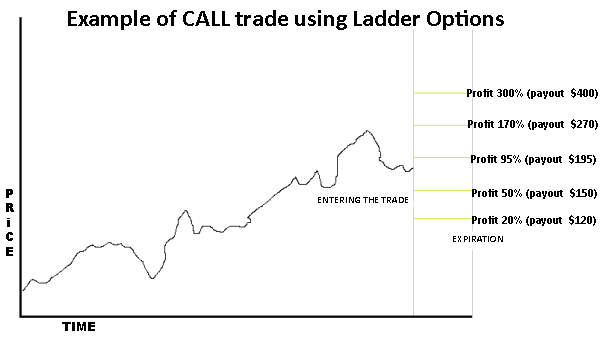 Unlike ladder options offered by other traders, with digital options from IQ Option you can sell the option within the expiry time to either boost the profit (in case of a successful trade) or moderate the loss (in case of bad luck). On the other hand, highly rated options are highly risky. This type of trading is more difficult to comprehend. Therefore it is not suitable for novices. i think if you have experience of news trading so digital option is the one of the best trading way for you. I think there are 99 % chances of our winning here with our luck if we select the lowest strike although we will get the lower profit but we will not lose i am going to try this someone recommend me is it good to start with digital option? Abdul, sometimes, the price can move very rapidly in the wrong direction. Be careful! But good luck. Yeah it is true i have seen it on practice account that the price increase rapidly but as compared to binary options it is 1000 times better as we can get some profit.. In binary there is pure gambling so am i right? ? I actually do this, but only when I have a trade that I’m already winning. For example if the price of an istrument is 100 when you start and I bought an OTM option with a strike at 103 and now the price is 105, I’d bought another with a 99 strike. I’ll also cover my bets buying an option in the oposite direction that could be smaller if it’s an OTM or bigger if it’s an ITM. Time, Risk and probabilities are key when trading digital options. The safest way to start is to only buy OTM’s with smaller sizes and big returns. For this I’ll use a standard 5min candlestick chart and a 1 min chart…to get the timing right. Also…and this is for the pros that might read this. If you’re trading EURUSD, you can watch the futures (6E) footprint chart to asses key risk areas in the 1min timeframe. This will give you a better idea of risk and probability given that you could succesfully identify absortion levels. With iQoption you can put a trade for the next 5min, 30 sec before the current bar is over….if you trade futures already when you see this is like watching free money. I’ll advise that newbies trade at lest for 3months on the demo account or until they can get consistent risk adjusted returns. If not there is a 99.9% you’ll loose all of your capital.